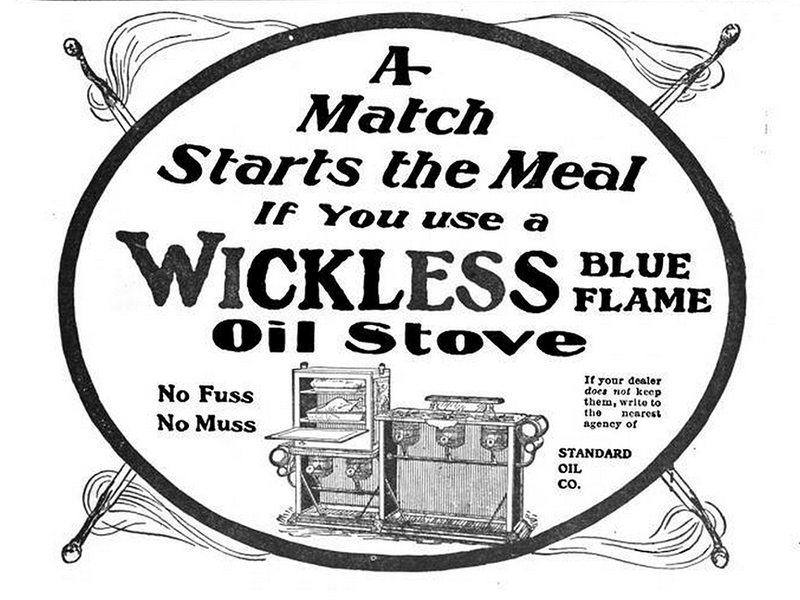 “No Fuss, No Muss” (1901 ad). Humanity seems hellbent on following the path of least resistance. Quick and easy is what we’re after: fast food, convenience stores. 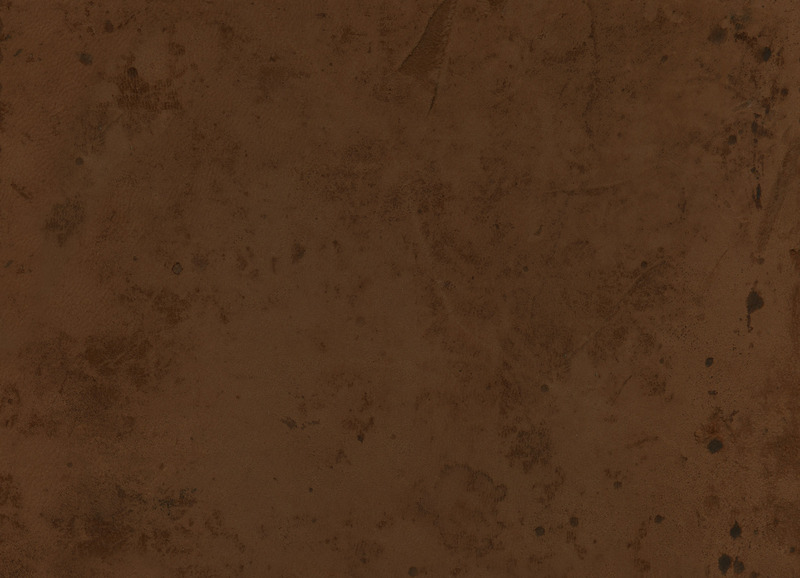 Our technological trajectory aims for comfort, cleanliness, speed. Sheaffer cartridge pen from the 1960s (courtesy www.sheaffertarga.com). So a sense of irony struck me the other day when I happened upon this excellent article in The Atlantic about the bane that is the ballpoint pen. 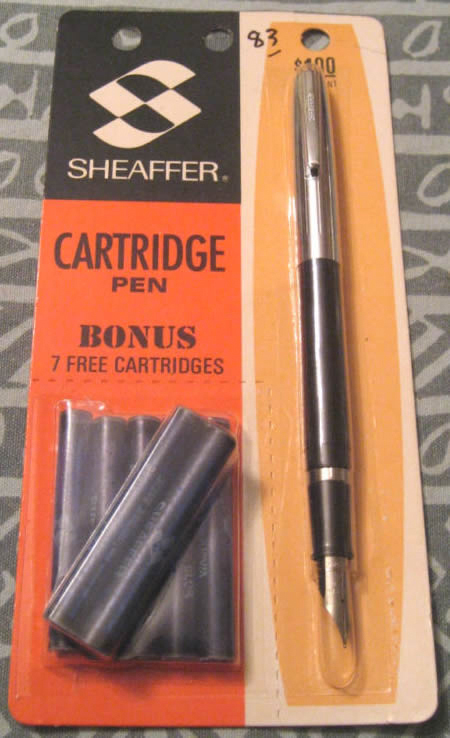 I remember back in grade school—i.e., sometime in the ’60s, when we still learned cursive writing—having a Sheaffer cartridge pen, a sort of fountain pen with a built-in, changeable ink supply. (No more messy refills!) But cheap, disposable ballpoint pens soon replaced that Sheaffer. My entire experience writing with a nib couldn’t have lasted but a couple of years. What I didn’t recall until Josh Giesbrecht pointed it out in his piece in The Atlantic is how much easier it was to wield that old Sheaffer pen. Thin ink flows fast from a pen with a nib (speed, ease, efficiency), requiring barely a flick of the wrist to apply. A ballpoint forces you to press down hard to keep its thick ink flowing. A ballpoint takes a load of effort. There’s a lot less hand-cramp with a fountain pen. 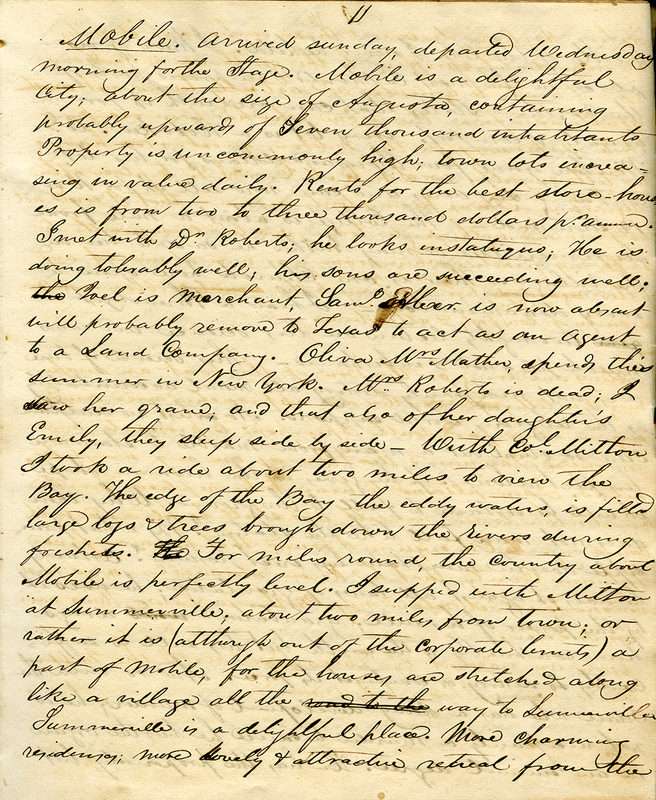 Page from the 1835 journal of Mirabeau B. Lamar, which inspired Lamar Pen. Somehow, we’ve diverged onto a path of more resistance. I want to imagine a time when old-style fountain pens become popular again, and that handwriting won’t seem such a chore. When people will choose again to take the time, to reap the benefits to brain and dexterity, to pause mid-sentence to gaze out the window, to spend a moment in thought, to ruminate. Maybe even pay a little attention to spelling and grammar. It won’t make up for the entirety of the loss of cursive writers—you can’t stop progress, however, ill-considered—but it might preserve a beneficial talent we humans have. In my closet is a box of family keepsakes dating back nearly a century. It’s full to the brim with letters, cards, and notes—all kept because of what had once been recorded there by hand. Such a treasure only exists because someone had funneled a sort of magic from their brain, and through their moving fingers, and onto a scrap of paper seen by the eyes of another, to be processed by another’s brain. What’s on that scrap of paper is different from the contents of an email message. What will our keepsake boxes be filled with a century from now? 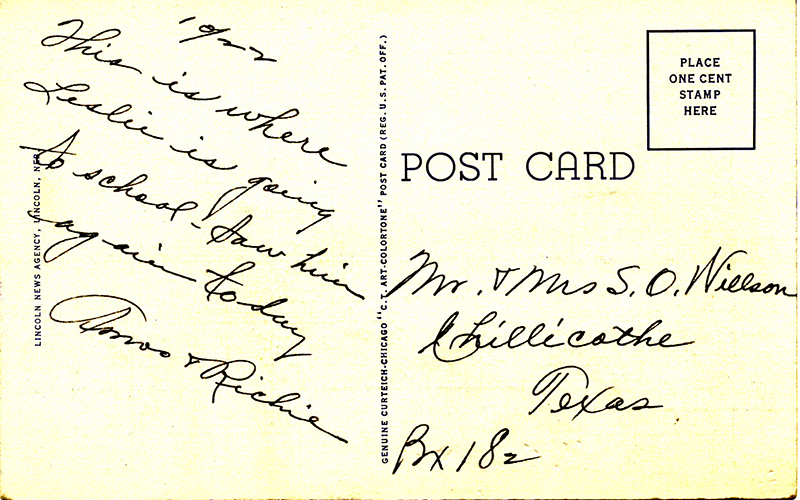 Postcard from my grandparents to my great-grandparents, 10/22/1943. » …and offers up a quiz proving how diverse and distinctive it is. » But back-to-school days here in the U.S. reveal hope for a reversal of this trend. » Meanwhile, ChicagoNow blogger Brett Baker gets it: handwriting is personal. » And check it out—handwritten keepsakes seem to be a thing. » The Saugus, Massachusetts, school district is contemplating handwritten homework assignments. » …although I wonder how altruistic is Bic’s Fight for your Write campaign. You are currently browsing the The Antique Penman blog archives for September, 2015.